I recently visited the city for lunch with my friend Dave. 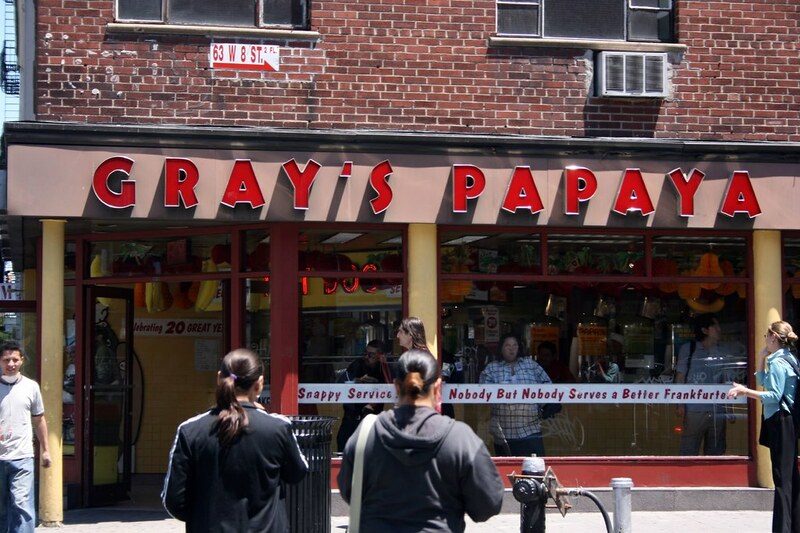 We ate lunch, or least I did when we stopped by to Gray’s Papaya for their hot dog…or is it a frankfurter? 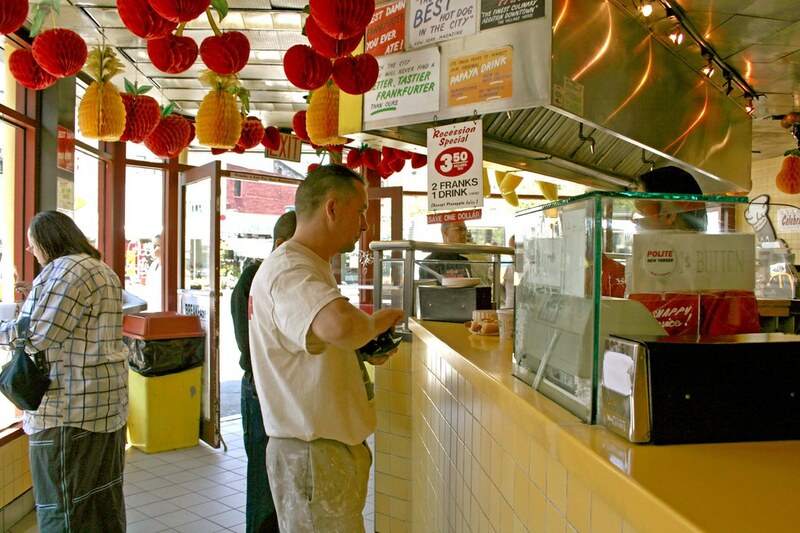 Honestly, it’s my first time eating there…despite the fact I’ve passed this place hundreds of times. 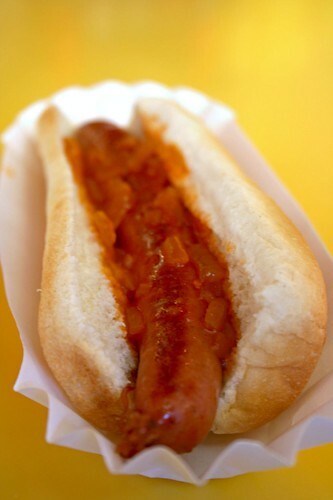 I ended up ordering a hot dog with a little bit of onions ($1.25). It’s not bad for something that is a bit over a buck. It’s griddled nicely with a bit of a snap and the onions are a bit sweet. It’s tasty but I liked Nathan’s more. 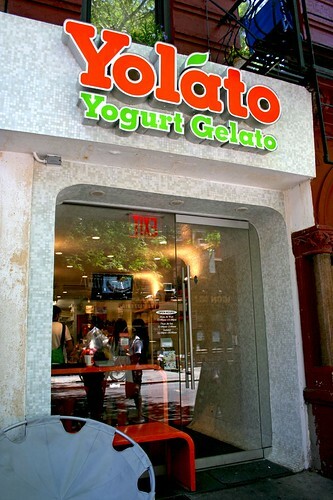 We then walked over to Yolato for trying out their healthier spin of gelato, as you can tell by it’s name, it’s yogurt in gelato form. 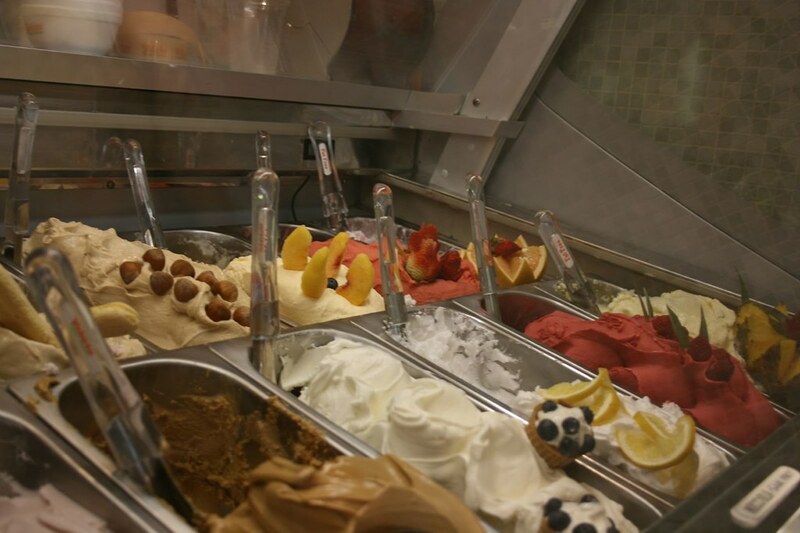 After staring at the fluffy mounds of gelato…or is it yolato(?) about five minutes, I asked for a sample of their pistachio. Not surprisingly, it’s not as good as my beloved (but expensive) Grom but it’s not awful either. 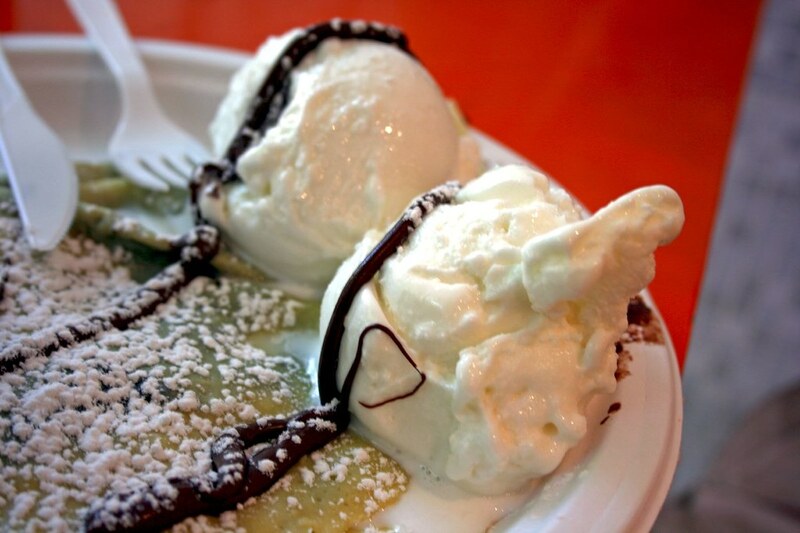 Eventually I ended up ordering the craziest concoction I ever read, crêpe with gelato. 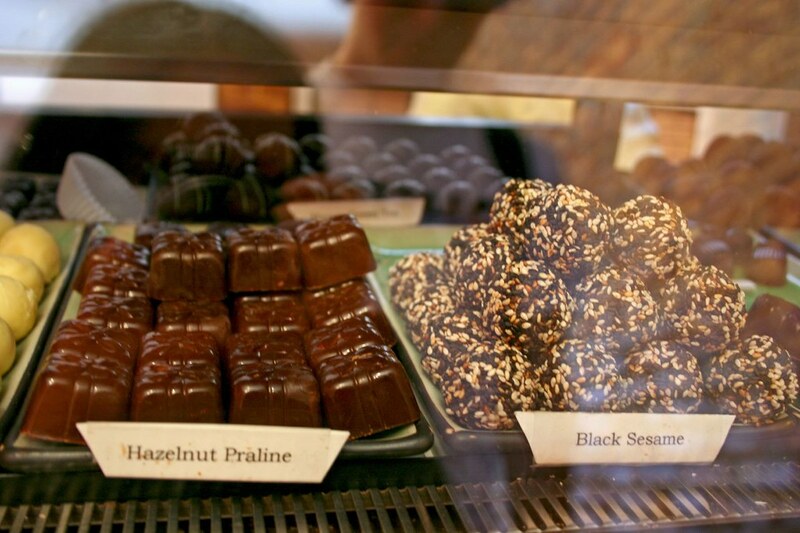 It’s very decadent to say the least. 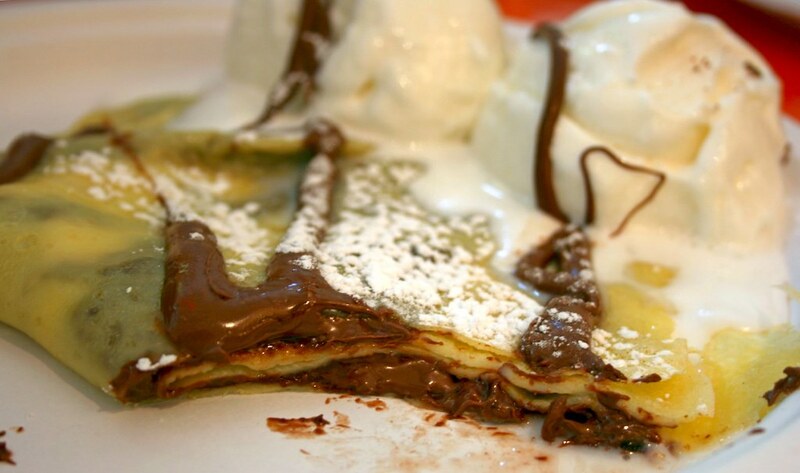 It’s a plain crêpe, made to order, filled with Nutella, dusted with powdered sugar and drizzled with chocolate syrup. The added fat and creamy goodness was obviously the two blobs of coconut gelato (coconutty with coconut flakes mixed in it = yums) that I wanted on top. The crêpe portion was fine but not extraordinary to note. 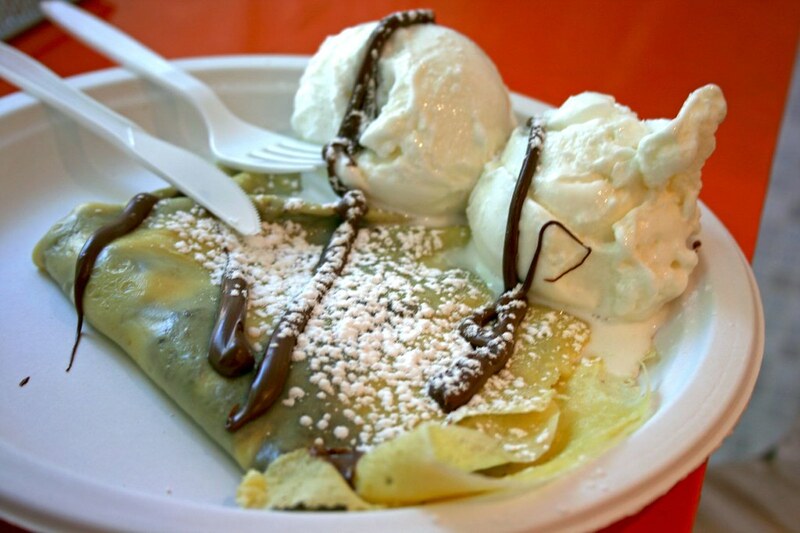 Dave ordered a crêpe that’s filled with chocolate chunks, instead of the Nutella. 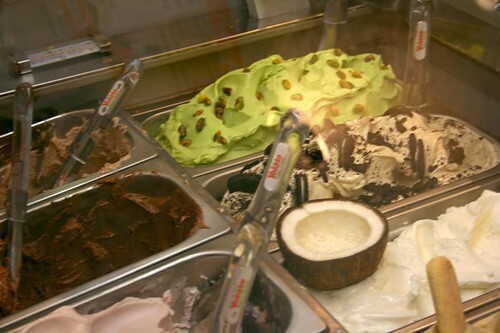 Looks very similar to mine sans the gelato but he’s fine with what he had. 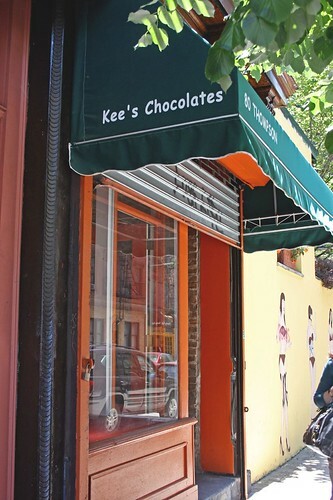 Then we walked down to SoHo to Kee’s Chocolates. 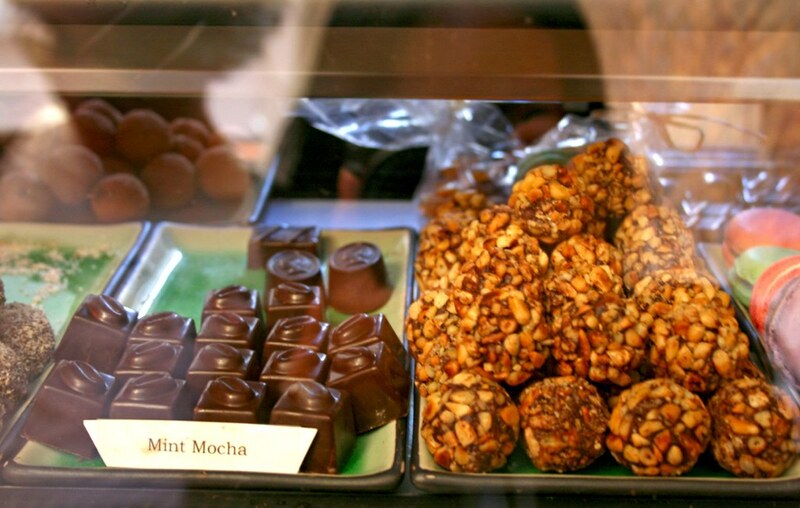 Originally, we went there for the sake of the deliriously awesome handmade chocolates. Since it’s about 2 PM, it’s obvious the popular Crème brûlée was out of stock when I asked the woman behind the counter. But when I glanced at the chocolate display, I saw MACARONS! Wuh? They sell maccies here?! My eyes went wide open and I asked the saleswoman, “What are the macaron flavors?” And she named them and it totaled up to eight. I said to her, “I’ll take one of everything.” The total was $18.80. 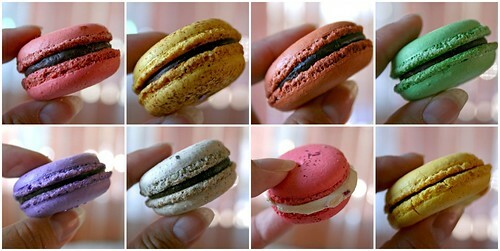 Yep, it’s a splurge but for my macaron obsession, there are no bounds (well…almost) to what I’ll do for it. I left Dave and went home to try these little cookies, in hopes of coming closer to fulfilling my macaron dreams (and Robyn’s as well, since we share this obsession). 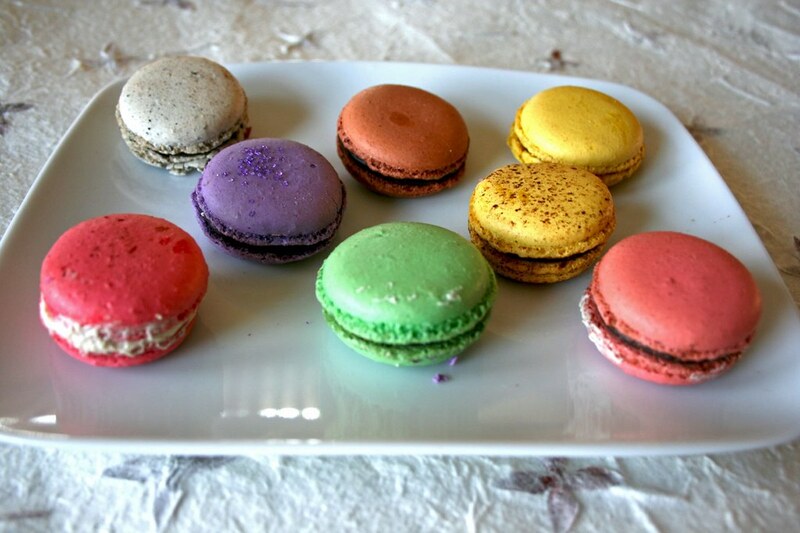 If you want to know the names of each individual macaron, just click the above photo. Anyways, the macarons in general are pretty good. It’s soft and fresh but most of the flavors are too subtle for my taste. 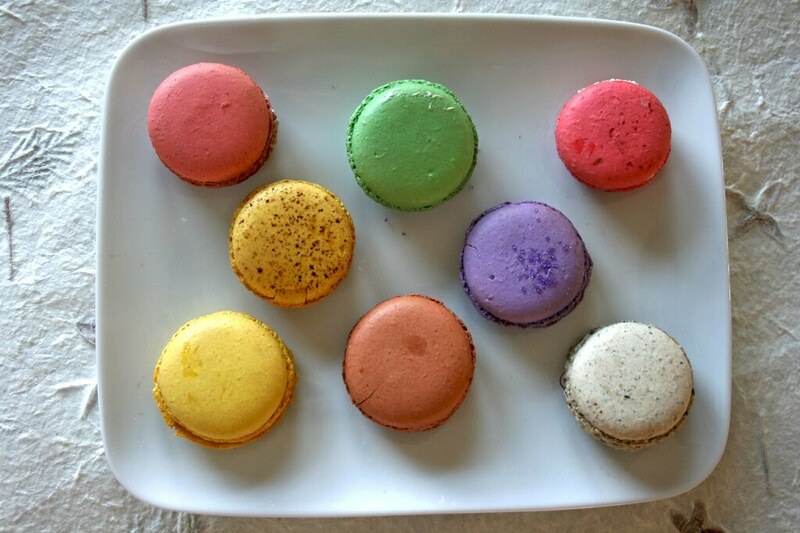 It’s not as flavorful as their chocolate fillings are in comparison, even though most of these macaron fillings are inspired from their own chocolate flavors. The best tasting ones were the raspberry and passion fruit. The lavender was close but it needed another notch of flavor to be almost perfect. I was hoping the rose lychee was going to be delicious since it sounds really enticing but the flavors were too weak that neither really stood out but the filling was creamy. ohh sounds like a big day, to bad you didnt feel like anything stood out. 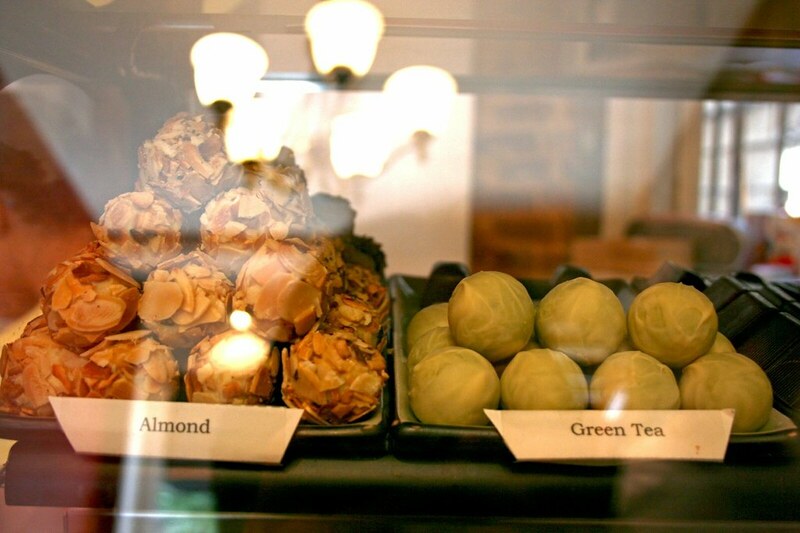 the chocolate place looks amazing, i need to go next time im in soho. 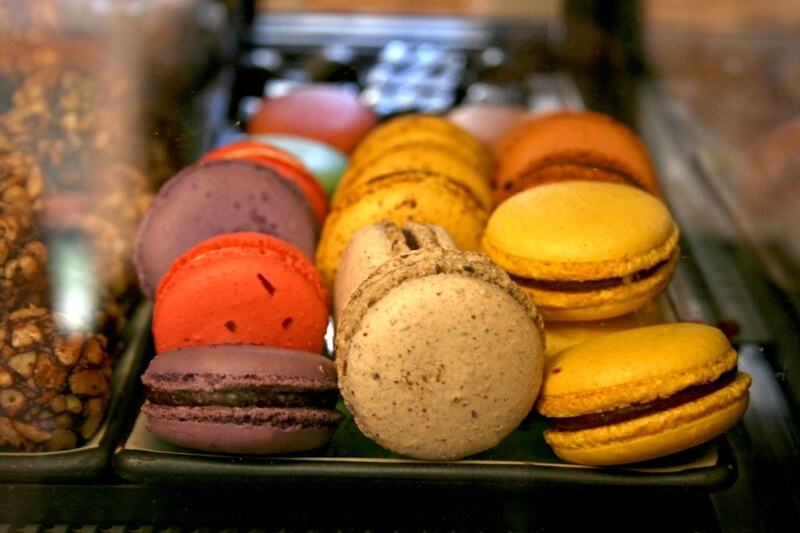 Giulia: It was a long fooding day of sorts but at least I ate macarons…. 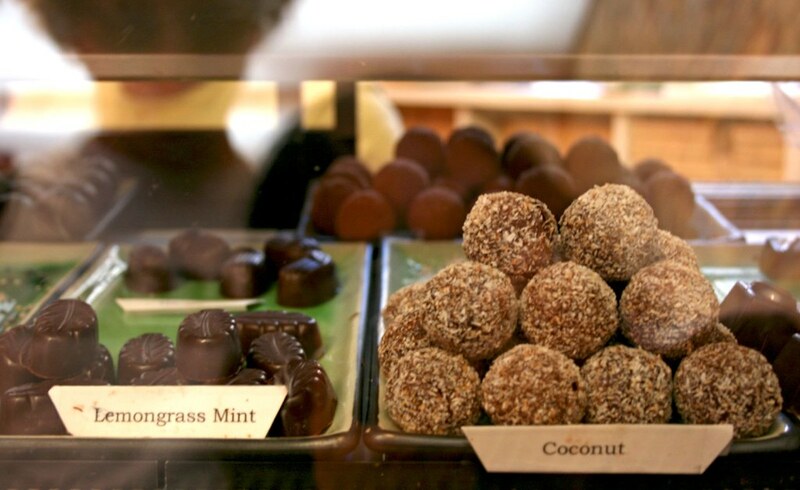 Kathy: I was hoping that Kee’s would have their creme brulee truffles but that’s too far fetched for that to happen in the early afternoon. Oh well…next time, perhaps. yummm! 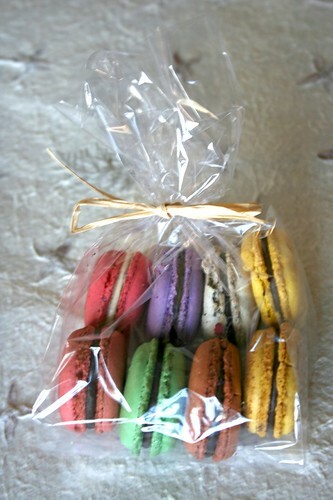 i LOVE macarons. which are your favorite in the city? i am fond of payard’s, but always looking for new options.